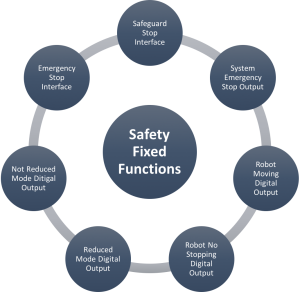 Universal robots have in-built saftey functions to allow them to work side-by-side with people. Cobots do not need to be caged up behind safety fencing (subject to a risk assessment). Robots create jobs – better jobs. Cobots relieve workers from strenuous and repetitive tasks so that workers can take on new roles. Ultimately, human dexterity, critical thinking, decision making and creativity cannot be replaced by machines. 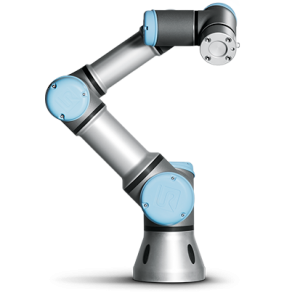 Universal Robots are easy to implement, operate and maintain. Being compact and light weight, there is no need to change production layout when switching the cobot between tasks. They are easily programmed or redeployed, and require minimal maintenance. Average set up is only half a day! Universal Robots weight as little as 11kg and as much as 29kg! Regardless of the scale of outputs cobots can be deployed. 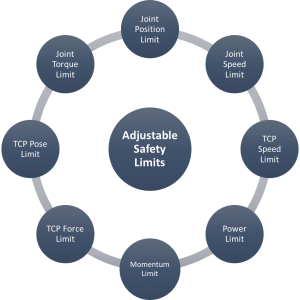 Simple processes that are repetitive, manual or potentially strenuous for workers are perfect for Collaborative Universal Robots. Universal Robots are cost effective! Installation requires minimal investment as they do not require major infrastructural changes. They can be redeployed to different functions in the production line, and used around the clock. Average payback period is shorter than 1 year! Call Mobile Automation today on (03) 9761 8500 or send us an enquiry and you we’ll give you a free consultation!